Twice a year chocolate aficionados in San Francisco converge on Fort Mason for a display of some of the country’s finest chocolate makers and chocolatiers. I’ve been going to the San Francisco Chocolate Salon since its inception, so it’s a happy (and tasty tradition) in our household. 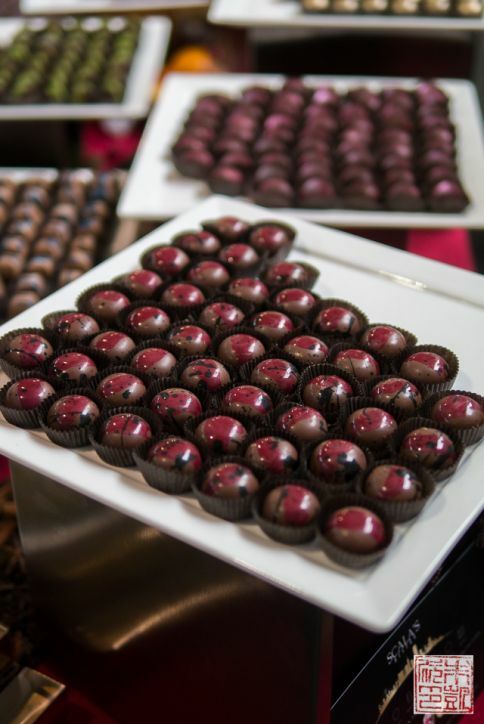 Created by Chef Karen Neugebauer from Seattle, this is a lovely line of chocolates. I was impressed with the quality of the chocolate and the cleaness of the flavors – everything I tried really popped in my mouth. Her dark chocolate honey sea salt caramels have rekindled my love for this confection. I also like her two chocolate bar collections: Forte is the more traditional side, with classic flavors like dark chocolate orange and the espresso-infused white chocolate bar. 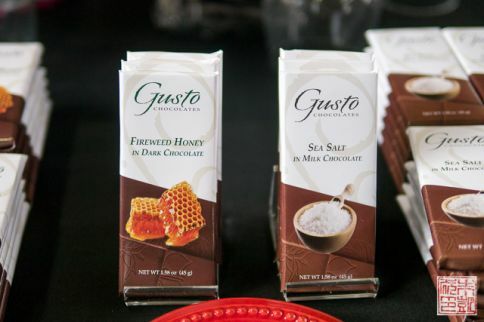 Gusto is the savory, more experimental line of bars. 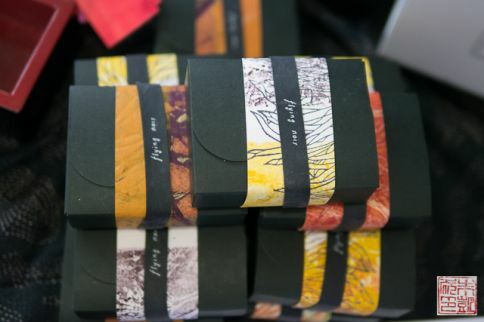 I loved the fireweed honey dark chocolate and the rosemary sea salt bar. You can find San Francisco-themed chocolates in souvenir shops all over the city, but here’s a high-end, truly original collection of chocolates that captures the unique facets of this city. Chef Kimberley Bugler of San Francisco classic Scala’s Bistro created an eight piece collection capturing various diverse San Francisco neighborhoods, from Haight Ashbury(smoked oregano) to Nob Hill(raspberry) to Chinatown(five spice). The SF Chocolates Collection is available at the restaurant and next door at the Sir Francis Drake Hotel. Although the “dark chocolate is good for you” mantra has been around for a while, some companies have really begun to focus on chocolate as a health food. CaCoCo is a drinking chocolate created with unfrosted, raw cacao combined with of-the-moment superfood ingredients like coconut crystal nectar. The resulting chocolate drink is sweet, creamy from the fat in the cacao beans, boasts a low glycemic index, and contains no cane sugar, dairy or major allergens (check the ingredients on the website). My favorite for original theming was Cowboy Toffee, a Western-inspired take on English toffee. This company was started by a family in Oakdale, the “Cowboy Capital of the World.” Their Ghost Town toffee is infused with Ghost Pepper (a very popular pairing for chocolate this year, apparently), while my personal preference was the Farmer John, a sea salt-flecked, nut-free version of their basic recipe. I’m really loving this new wave of experimental chocolatiers, many of whom are also emphasizing the healthful side of cacao. 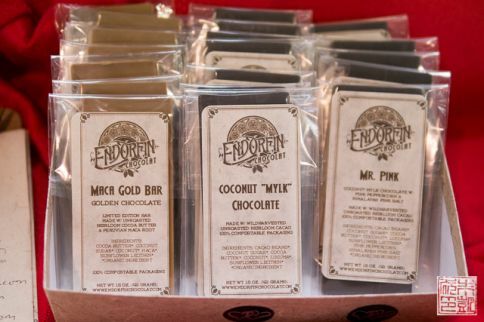 Endorfin Chocolate is an Oakland chocolatier that uses unroasted heirloom cacao combined with funky ingredients like absinthe, Chinese herbs, and incense oil. There are also pure chocolate bars for the slightly less adventurous. 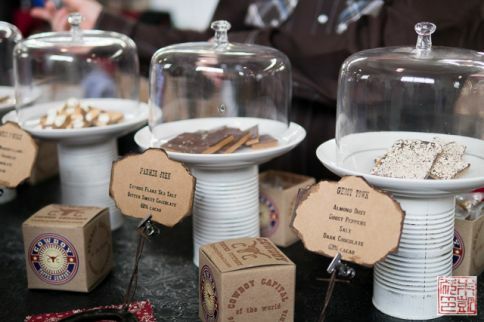 Their feature product is the Community Supported Chocolate Box, a monthly subscription box featuring selections from the kitchen, from bars to truffles to hot cocoa to hand-mixed elixirs. The standout for me at the salon was flying noir chocolate: an intersection of food and art. Karen Urbanek is an artist as well a trained trained pastry artist. Her micro batch chocolates are all carefully, uniquely formed and embellished in a delicate hand with natural colors and mica. 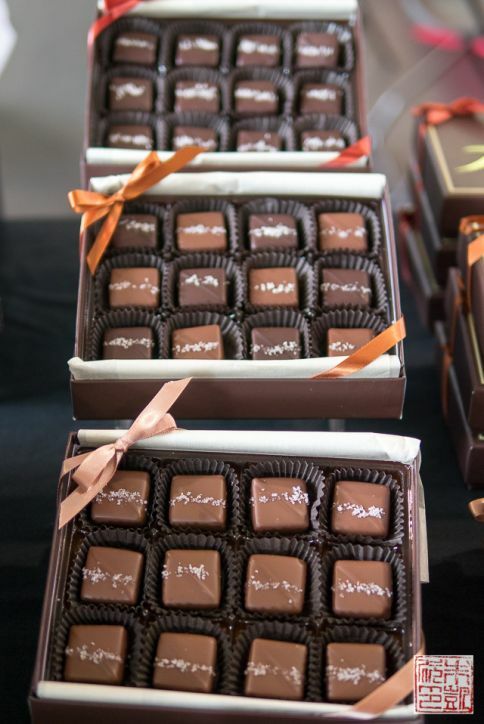 The creations vary with Karen’s inspirations, from hand cut cubes of ganache to bars. Her ingredient combinations drawn from around the world: Fiji ginger, Japanese bamboo sea salt, new Mexico habaneros. 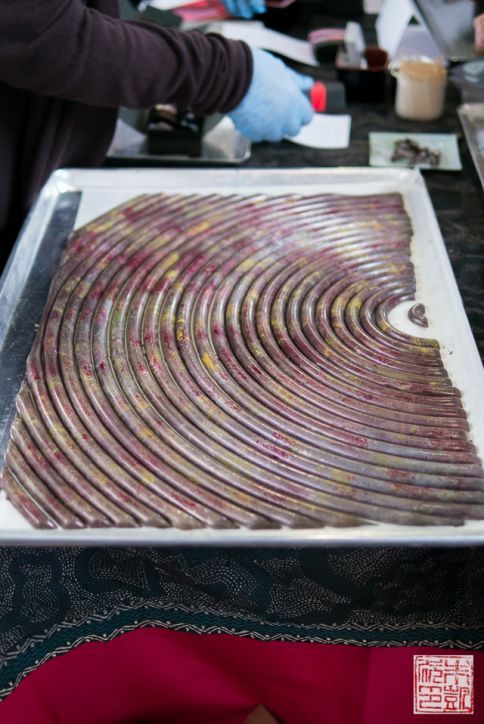 Urbanek cast this amazing slab of chocolate shaped like a rainbow, so she could easily cut samples at the salon. People kept asking if they could buy the whole thing! 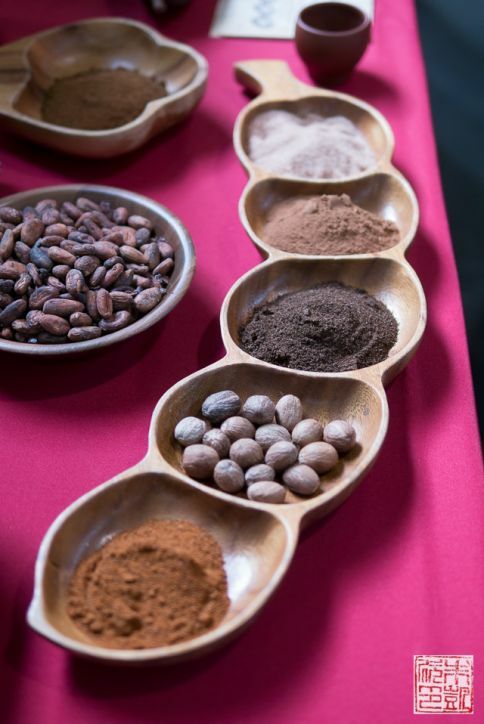 Visit the Chocolate Salon site to find out when the next Chocolate Salon near you is. Looks fabulous! What a great collection of special chocolate- although I think I would be broke if I went!